Pankaj D Costa, Dhaka, Bangladesh. Warmly thanks for your subscription and visit to Pip2Pips. 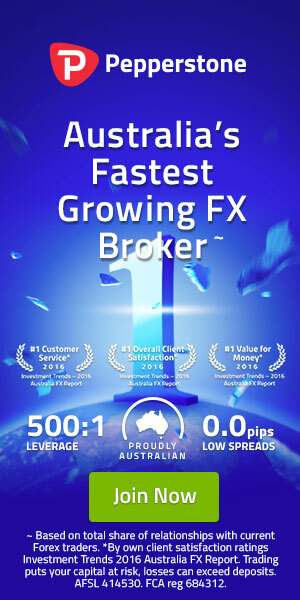 For your kind information, this is not a commercial site, this is my personal website and I am writing here about forex trading and online earning source from my practical experience and knowledge. I had started forex trading from 2011 and till now continuing. Writing is my hobby. Earlier I had used lot of free site to write my content, I had used free website, blog etc. Then I had decided to write my content into my own website and finally I am here. At 2011, one of my friend informed me about forex trading, then I did lot of study about forex from online source. When I start my forex trading, no body helped me to get some idea about forex trading. Whatever knowledge I gathered, all are from online source. Around me, few person’s was expert on trading, when requested to teach me some techniques about trading, they asked for money, without money, they will not teach anything. I did not pay any single penny. My target was, I will learn forex trading and will do forex trading as one of my earning source. Finally I am a regular forex trader. Now I am trying to write some basic and important content for forex traders and also for newbie. Maybe my content is not so useful for expert traders, but I believe, there are lot of traders / newbie who must to know more about forex to be a successful trader in the market. Also I am trying to provide here some free indicators, expert advisers, trading strategy, trading idea, forex signal and copy trade idea and much more. Also like to inform you that, I am maintaining forex copy trade signal and performance is not so bad. If you are not greedy and have an aim to be continue in this market, this signal will be helpful for you. I am very frankly and friendly person, I never avoid anyone who asked for suggestion or any help. If I am able to give support to you, I will do that always. So, keep in touch and let’s go ahead. You are most welcome to subscribe Pip2Pips. Your all information will be safe with me only because this is not a commercial site. If you like any post from my site, do not forget to share it with your friends and others. If you share it, I will be encouraged to write more for all of us. Thank you very much to stay with Pip2Pips. This is Shafiul Alam. I am a software developer and IT expert. Web application, web design is my main profession. I am expert to create forex indicator and expert adviser. If you need to develop any website / application / design / develop or if you want to create any forex indicator or expert adviser with your own strategy, you can contact anytime with me from here : “Contact Me“, I will try to make it with very smart and light coding which will help you to operate smoothly. This site Owner is my very close friend, personally I like him due to his honesty and good personality. I am always with him and giving support to maintaining Pip2Pips nicely. I know, Pip2Pips is not a commercial site, this is a dream for him and that’s why I am always trying to present some good idea to develop this site. I wish him more success in his life and as well as his forex life. This is Benjamin Biswas, I am a domain/hosting seller, Web Designer & Front End Developer. Personally I know Pip2Pips site owner from a long time and I am impressed on him for his good personality and excellent skill for nice communication. He is one of my best friend. Writing is a hobby for him and finally he decided to start his own website to write continue. I am appreciated on his decision and provided domain and hosting from my IT farm with my best complement. I wish him a successful life. If you need any domain, hosting and web development, feel free to me from this link at anytime “Contact Me“. You are most welcome to visit my website for any products or service. My website is; www.biswasit.com. As a friend and well-wisher I am always with Pip2Pips and hope you will also be continue with us.